We are proud to introduce to you… Grab’s Total Fares Guarantee (Weekly) programme! Your time is precious so let’s make every trip, worth your while. We’ve heard your feedback – your earnings can be unpredictable. Introducing Grab’s Total Fares Guarantee, an incentive scheme that safeguards your time and income on both good and bad days. Through this scheme, Grab protects you from low fares by promising you a guaranteed weekly fare amount earned when you complete a set number of trips! Don’t worry about picking and choosing your trips – we’ve got your back. Watch these videos to better understand this programme! Question: Can I join this programme? Answer: The Total Fares Guarantee programme is currently by invite only. Question: How does this programme work? Answer: Our partners are guaranteed a weekly fare earnings according to the number of trips they complete within the week. 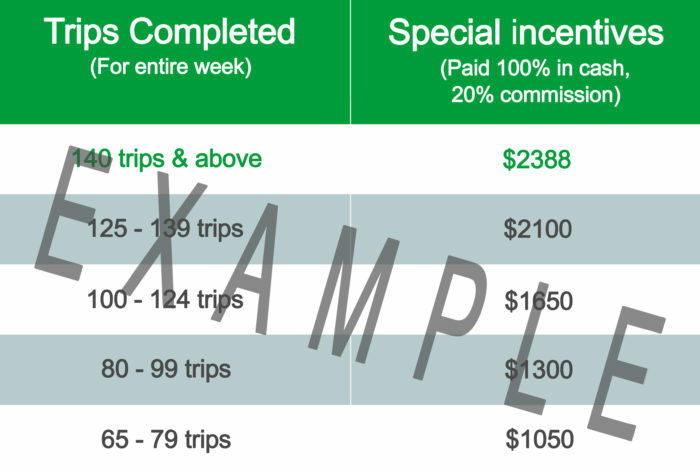 If you complete 140 trips and above within the week, you are guaranteed $2388 of fare earnings. If your actual fare earnings is lesser than what is guaranteed, we will top up the difference! Question: Do commissions apply to the Total Fares Guarantee programme? Answer: Yes. A 20% commission is applicable for any fare top-ups. Question: Will I still be eligible for other incentives, in addition to Grab’s Total Fares Guarantee programme? Answer: Yes, you are still eligible for other incentives in addition to Grab’s Total Fares Guarantee programme. Question: Do I need to fulfil any criteria to qualify for Grab’s Total Fares Guarantee programme? Answer: Yes. In order to qualify for this incentive, partners need to maintain a weekly Acceptance Rate (AR) of at least 90%, Cancel Rate (CR) of below 10% and Driver’s Rating (DR) of at least 4.3. Question: What service type qualifies? Answer: GrabShare, GrabCar Economy 4 & 6-seater, GrabCar Premium 4 & 6-seater, GrabFamily 4 & 6-seater & JustGrab.